As a Program Associate at Innovations in Healthcare, London is responsible for supporting the development of a global health innovation ‘Launch and Scale Speedometer’ in partnership with the Bill and Melinda Gates Foundation (BMGF). This three-year, $2 million initiative seeks to collect, analyze, and disseminate data on evidence-based practices and pathways that accelerate the introduction and scale trends of life-saving technologies and interventions. 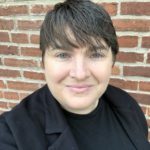 Before joining Innovations in Healthcare, she worked as a grant manager for the Nashville chapter of The Arc, the nation’s largest community-based organization that advocates for and serves individuals with intellectual and developmental disabilities. London received her Bachelor of Arts in Politics and International Affairs from Furman University, where she also studied Pre-Medicine. 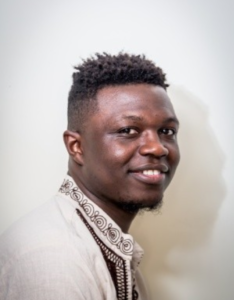 Before joining GHIC, Zilper worked as a Consultant with the Independent Development Evaluation of the African Development Bank (AfDB) in Côte d’Ivoire. 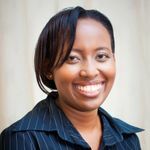 She also worked with the International Centre for Tax and Development (based at the Institute of Development Studies – IDS-UK), as the Research Uptake Manager, responsible for the uptake of tax research by policymakers in Africa. Prior to that, she worked with the Africa Research Institute in London, where she conducted analyses on politics, governance and democracy, focusing specifically on Kenya. She has also worked with national institutions like the Institute of Economic Affairs (IEA-Kenya), and Kituo Cha Sheria. Joy is inspired by innovations that address gaps in access to high-quality care. 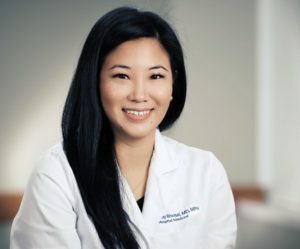 She currently serves as Chief of Digital Health and Strategy for the Duke Clinical Research Institute innovations group and is an associate director of the Duke Global Health Innovation Center. 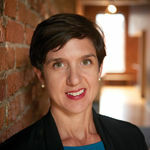 Through previous public health work in Africa and Asia, she developed innovations focused on improving access to health services that were used for clinical trials, she then served as CEO of ChatrHealth, a health tech organization dedicated to developing patient safety and communication tools deployed across both academic and private health system settings. She has also worked with Health 2.0, directing a program that paired large industry leaders with health tech startups. Joy is an alumni of Pomona College, a previous Fulbright Scholar, and received a Masters of Public Health from Yale focusing on global health and management. Joy then received an MD with distinction from UCSF, where she completed the global health pathways concentration. 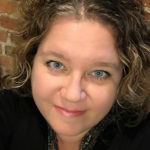 Lisa brings years of experience in the start-up, growth, and profitable leadership of dynamic enterprises within the pharmaceutical, biotech, and health care industries. 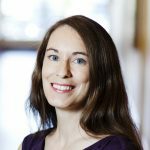 Prior to joining Duke, Lisa was Senior Manager of Portfolio Analysis for Talecris Biotherapeutics, where she was responsible for defining research and development strategies by evaluating business cases for several new product and lifecycle management opportunities. She has collaborated on several start-up companies in senior housing, and health and wellness, and co-founded Clinexus, a start-up clinical research company. Her experience also includes senior roles in health care investing and divestiture, consulting for Accenture, and managing physician practices. 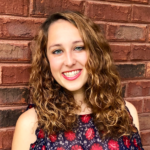 As a program analyst at the Duke Global Health Innovation Center and Innovations in Healthcare, Nicole works with the Research team on projects related to health financing, regional data sharing, and reverse innovation. She is also interested in healthcare delivery system innovation and behavioral health. Sarah has a vast experience in innovator growth, development and implementation of international evidence-based health, education and economic growth programs valued over $25M. Sarah has provided management and advisory services to multi-national corporations, NGOs, USAID, The Millennium Challenge Corporation, Bill and Melinda Gates Foundation and private sector donors. Prior to joining Duke, she gain experience in 20+ markets across Africa, Southeast Asia, Central and South America, the Caribbean and the Middle East. Sarah was the founder and CEO of Activate, LLC which provides organizational strategy, business development and program management to global corporation and NGOs. Prior to that she served as Technical Program Manager at Creative Associates International in the Economic Growth Division. Her experience also includes senior roles in organizational development, growth strategy development and implementation, and grant writing. 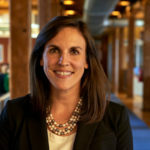 In her role within the Duke Global Health Innovation Center and Innovations in Healthcare, Christa leads a team in the development, design, and delivery of programs focused on linking policy with innovation to solve global health challenges. At Duke, Christa has developed and managed a wide range of programs under the Senior Vice President for Public Affairs and Government Relations, the Vice President for Durham and Regional Affairs, and within the School of Medicine. 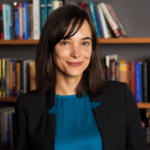 Internationally, Christa has worked in Bulgaria, as a United States Peace Corps Volunteer; in Central Asia, as a senior advisor for a regional-health-systems strengthening project; and in Latin America, as a global health consultant. 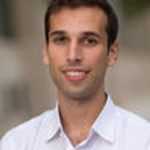 Jonathan is a member of Duke-Margolis’ Global team, which collaborates closely with Innovation in Healthcare and Duke Global Health Innovation Center, researching international models of accountable care, health financing, global health innovation, and payment and delivery reform. Primary and secondary research and statistical analysis are the focus of much of his work. 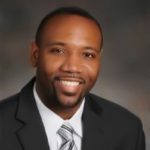 Jonathan holds a Master’s in Public Affairs from the University of Texas and BA in Philosophy and International Relations from Northwestern University. 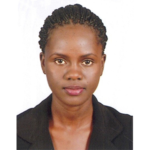 Juliana is a global health specialist passionate about the use of innovative, evidence-based methods to improve health care. At Innovations in Healthcare and the Duke Global Health Innovation Center, she cultivates key relationships to enhance broader health care ecosystem development in Africa, while managing programmatic activities that provide in depth and specialized support to the Innovations in Healthcare office and the Social Entrepreneurship Accelerator at Duke (SEAD) program in Nairobi. 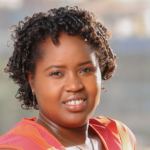 Prior to joining Duke, Juliana worked for Clinton Health Access Initiative in Kenya; Elizabeth Glaser Pediatric Foundation, and the Institute of Human Virology, both in the USA. 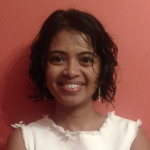 She has a wealth of experience in providing technical and analytical support to both the public and the private sector to scale up the adoption of new diagnostic technologies/treatments to improve health care outcomes in developing countries. Jessica is a Senior Associate at the Duke Global Health Innovation Center where she helps manage various programs and initiatives. She has over 15 years of experience managing and executing various programs and events. Jessica speaks German and Spanish and has a Bachelors Degree in Political Science from the University of North Carolina at Chapel Hill. Anna is the Assistant Director, Operations & Finance for the Innovations in Healthcare and the Duke Global Health Innovation Center. Anna provides overall administrative management and coordination of various business-related functions, including financial management, operations and human resources for both organizations. 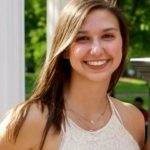 Prior to joining the team at Duke, Anna served as the Director of Operations for NC Sustainable Energy Association (NCSEA). 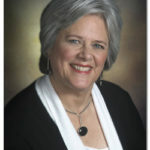 Anna oversaw NCSEA’s accounting, financial planning and analysis, project management, fundraising, and human resources. 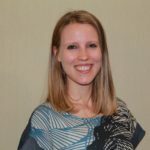 Previously, Anna worked at NC Biotechnology Center and UNC Kenan Flagler Business School, Center for Sustainable Enterprise. Caitlin is part of the research team at Innovations in Healthcare and the Duke Global Health Innovation Center, where she contributes to the creation of knowledge and learning agendas, the development of knowledge products, and to evaluation efforts for the Pfizer Foundation Global Health Innovation Grants (GHIG) program. 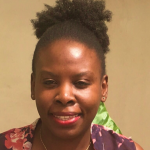 Her past experience includes interning for the World Health Organization’s Global Cooperation on Assistive Technology, volunteering as the Monitoring and Evaluation Lead for Cameroon Catalyst, and working as a Research Assistant and Teaching Assistant for Queen’s University. Eunice is a graduate of United States International University-Africa with a degree in International Business Administration with a concentration in Management. 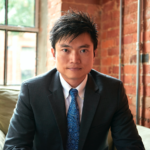 Stephen is the Duke Global Health Innovation Center’s and Innovations in Healthcare’s Financial Analyst. He manages a portfolio of complex grants and contracts for the organization. Stephen previously worked at Duke in the Office of Sponsored Programs as a Research Administration Manager. He oversaw the management and timely closeout of multiple sponsored projects, per university and sponsor requirements. He brings a wealth of knowledge and experience to our team. 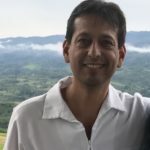 Ernesto is a Peruvian physician based at the Duke Global Health Institute (DGHI) and the Duke Global Health Innovation Center (DGHIC). He got a master’s in public health degree from the University of Iowa, and has experience in public health, epidemiology and research with a strong focus on work in underserved areas of Peru and Latin America. He has been at DGHI since 2012. Previously, he worked at the U.S. Naval Medical Research Unit (NAMRU-6) in Peru conducting research on tropical infectious diseases in Peru and other LatAm countries. At Duke, his research has been focused on the human-environment interaction and its impact in human health (i.e. exposure to heavy metals, zoonotic diseases, chronic diseases, etc.) in the Peruvian Amazon. He is passionate about Peru, and also about translating research into improving people’s health. Malcom builds strategic partnerships with Investors, Corporations, Foundations, and NGOs to generate the resources and funding needed to provide even more valuable support to IiH’s network of innovators and more research opportunities for the GHIC. 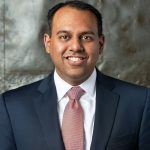 Prior to this role, Malcom served as Sector Director for Technology at Duke University’s Fuqua School of Business where he cultivated corporate relationships, supported global strategy and growth initiatives, and helped MBA students achieve their career goals. 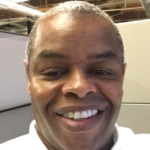 Malcom earned a Bachelor’s degree in Speech Communication and Master’s degree in Human Service Administration from Bradley University in Peoria, IL. He also earned an M.B.A. from Duke University’s Fuqua School of Business. Dr. Silimperi earned both her B.S. in Zoology/Psychology and her M.D. 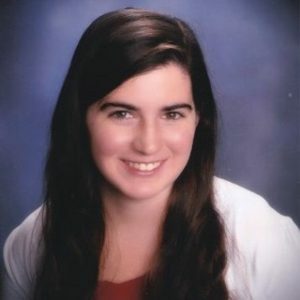 from Duke University, where she was elected to Phi Beta Kappa and the Alpha Omega Alpha Honor Medical Society. She completed her Pediatric residency at the University of Washington, and was an EIS Officer in Alaska. She also spent a year in Sweden as a Rotary Scholar and in Taiwan as one of the first Luce Scholars. 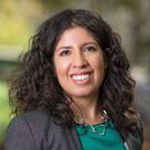 Andrea manages the research and knowledge development agenda and directs student programs for Innovations in Healthcare and the Duke Global Health Innovation Center, including internships and fellowships. Prior to joining Innovations in Healthcare, Andrea managed research on health and economic innovations both for the federal government and for UNC Chapel Hill. Her background is in health and social policy, program evaluation, and global mental health. Andrea has a master’s degree in Social Service Administration from the University of Chicago.